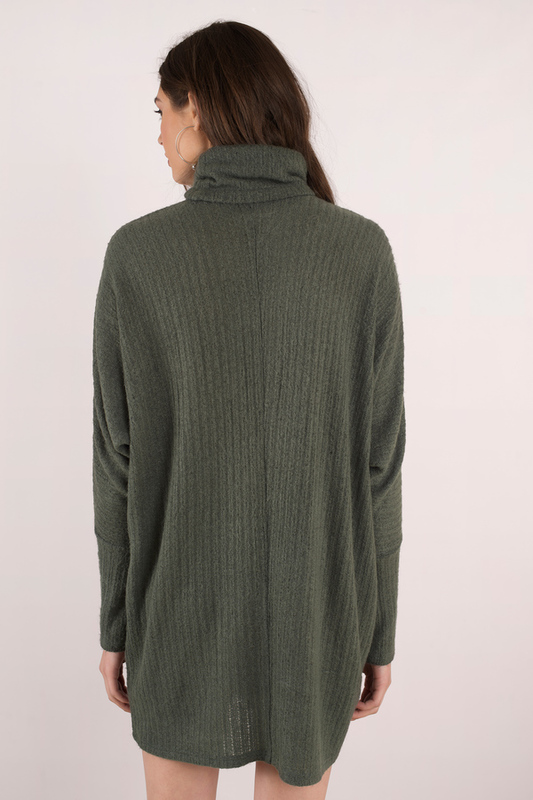 Check out Tobi's Cozy Days Sweater Dress Designed by Tobi. 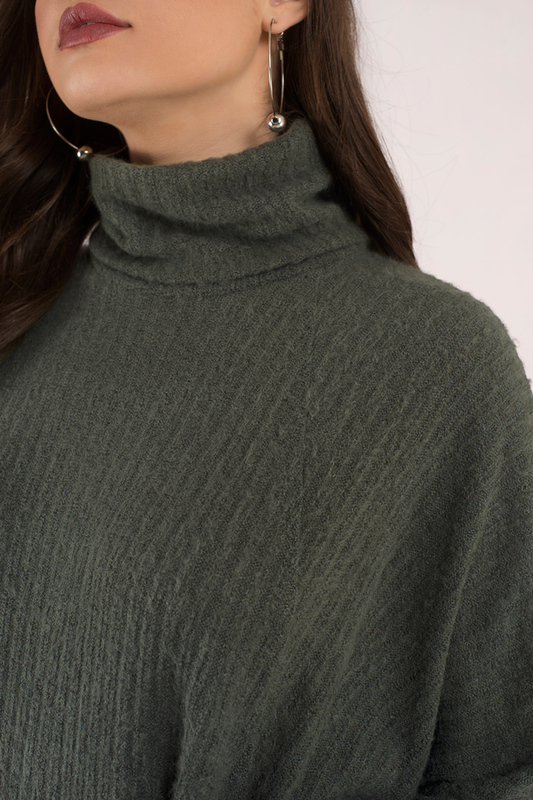 The Cozy Days Sweater Tunic Top features a loose and slightly draped turtleneck and dolman body. 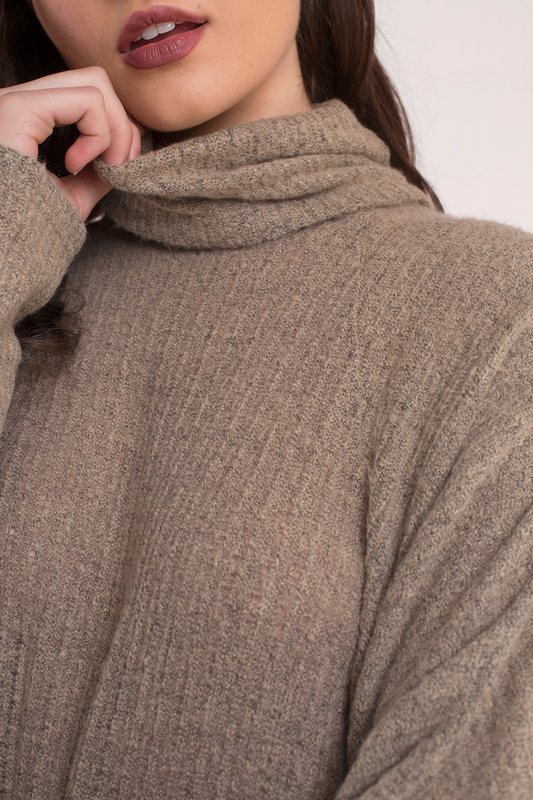 Fitted at the sleeves for a flattering finish to a relaxed silhouette. Pair with knee high boots for a contemporary look. Designed by Tobi. 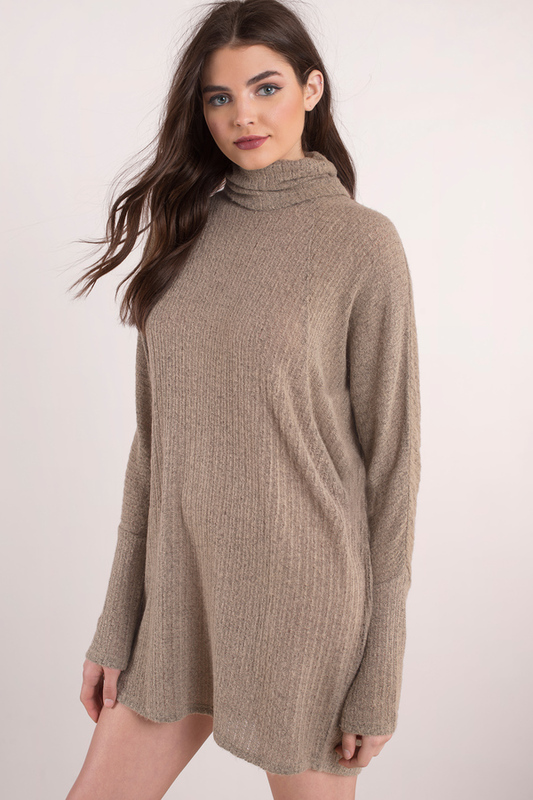 The Cozy Days Sweater Tunic Top features a loose and slightly draped turtleneck and dolman body. Fitted at the sleeves for a flattering finish to a relaxed silhouette. Pair with knee high boots for a contemporary look. Black, Olive, Taupe modeled on a size Small.